I can't remember the last time we had a long steady rainy day like this. Actually I enjoyed today's weather throughout the day. We really do need the rain ... especially this steady drizzily kind ... so it soaks in rather than runs off. The only frustrating thing was that Molly and I didn't get outside to play or walk. She's funny about rain. For a dog who runs into the surf the minute she gets to Dog Beach, she doesn't like rain at all ... even the misty kind like this. I took pictures, but can't transfer them from my camera to my computer because McAfee has been scanning my files ALL DAY LONG! (Sigh) It usually doesn't take this long, but around noon I noticed an automatic update come through, and I'm wondering if that caused complications. Perhaps add pix tomorrow once the scan is finished. I'll leave the laptop running and hope it turns itself off (or goes to sleep) once McAfee is done. I plan to add a little "bling"
so it will "sparkle & glow"
in my previous post and put your thinking caps on! Over at everything and nothing, Akelamalu has created a Christmas Carol Quiz but, alas, I missed the deadline of last weekend (since I didn't discover it until today). However, I don't believe she's posted answers yet ... so perhaps there's still time to play. I've got them all figured out but one, but I can't find her email address. Such is life! To borrow her instructions: Just to get you in the mood for Christmas ... remember the Nursery Rhyme quizzes? Well this is a bit like those only the initials represent the first line of Christmas Carols and Songs. O.I.R.D.C. - Once In Royal David's City - get the idea? Day by day (as time & energy permitted) I worked in the yard ... enjoying my progress (however slow & tedious it seemed to others) ... making new friends as folks on their way to and from the beach stopped to comment (many offering suggestions as to how I might speed things along, not realizing I was using this as a meditative practice). I spent considerable time thinking about how I might similarly reclaim the inside of my home (as in clear out the clutter of books and reading material that collect on any horizontal surface despite my best intentions). I started by cutting the Korean grass covering the concrete "footer" originally designed & put in place to keep the lawn out of the flowerbeds. I knew it was there, but others were surprised as it reappeared. Next I cut back the bushes encroaching on my walk-way to the house, then started digging out the roots. That's when I discovered the first of many 3" in diameter roots from the city's tree on my neighbor's parkway and invested in a hand-saw to cut them out in foot-long pieces so I could pull them out in sections. But I digress (please bear with me as my mind wanders often these days) so I'll now continue with my tale of transition. Removing the grass from the stream bed was most challenging. I'd clear out a section of rocks, pull the grass out by the roots, replace the 27 year old plastic with a new piece (cut to size & overlapping the previous one), sprinkle a little rock salt to slow down future grass growth, and replace the rocks one-by-one before moving on to the next section and repeating the process. Of course this took WEEKS of daily effort, but I enjoyed the pleasant weather and didn't worry about how long it would take. I snapped photos of my progress to email to family and friends (and now to share with you), but as I look at the photo-collage ... I realize it doesn't contain those close-up pix, so maybe I'll see if I can make a "mini-collage" to use in a later post (making note to self as I type that thought here). Eventually it did become obvious (even to my independent self) that I could use some help. I managed to use my trusty pruning tools and newly acquired hand-saw to prune the lime and lemon trees (as I've done yearly for decades) as well as to decimate the peach tree that had never produced edible fruit probably because it was planted too close to the house and in the shade of the lime tree. What I couldn't do however was dig out the massive root system created by this tree over its 27 year life span. So, I enlisted the help of a local gardening service for this purpose. I plan to create a mini-grid of those photos and pictures taken while they dug out the Tam Junipers on the parkway along with the Korean grass doing it's best to overtake them and claim the area for its own. The "parkway" task took 4 workers almost 5 hours to accomplish! 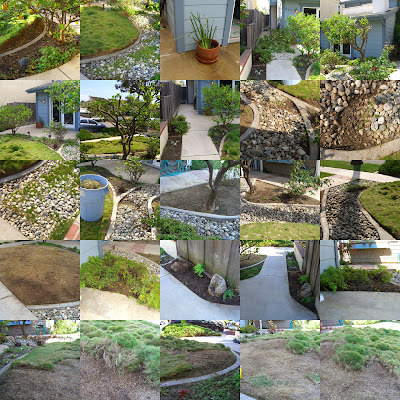 Maybe I'll post it with the other mini-collage of my "rock clearing" photos. So Karen ... I hope you enjoy Part 2 as much as you did Part 1. What Happened to my SiteMeter Icons or Why Can't I Log onto my Account There Today? still seem to be present. or should I be feeling paranoid about now? crushing my roses and flowers. They fall from tall palms like these three trees. where most folks park on the street. behind our houses for trash pick up. I've decided to share the following saga in three parts. In April of 2006, my front yard looked like this ... overgrown and crowded ... with plants and trees as out of control as the Korean grass that had crept over the concrete footers, infiltrated the rocks of the stream-bed drainage area and sneaked under the Tam Junipers on the parkway in an unsightly manner. Navigating the walkway toward the house, avoiding the overhanging bushes and the fruit-laden branches of the Dwarf Meyer Lemon tree, required special skill for the Postman and other visitors. Ms. Kitty enjoyed the jungle-like growth because it offered many hiding places, but to me ... it had become an embarrassing eyesore. Returning from a Caribbean Cruise, I struggled to drag my suitcase up the sidewalk and into the house muttering under my breath. The next day on a whim, I purchased several pairs of gloves and a hand-held electric clipper at Osh and got started doing what I could to take charge of the mess and reclaim the yard. This was no small task and took the better part of 6 months to accomplish, but little by little I succeeded in pruning, weeding, ripping out, and reclaiming the space. This is Part 1. Part 2 (the gradual process of reclamation) and Part 3 (new plants and regrowth over time) will follow in separate installments. The weather here in Southern California had been overcast and gray for a week or so, but today dawned sunny and clear ... perhaps in honor of Thanksgiving? 1. The sound of the waves and the salty smell of the ocean in the early mornings when I rise & at night when I'm drifting off to sleep. 2. My "happily retired life" and all the freedom it brings. 3. Family, friends, and neighbors ... I'm blessed to have each one in my life. 4. New "virtual" friends and acquaintances here in the Blogosphere. I'm pleased to meet so many of you this month and enjoy the interactions on your Blogs and mine. Thanks for the time you spend to make your posts interesting and for stopping by to read & comment here. 5. My transformed front yard ... well worth the effort required to make it so. 6. Molly and Ms. Kitty who share my life ... providing opportunities for exercise and laughter. 7. Books and writers everywhere who expand my world exponentially every day. As one of my favorite t-shirts says: "So many books, so little time." 8. Trader Joe's ... just minutes from my home. 9. The smell of coffee in the morning and Starbuck's Christmas Blend (regular & decaf) beans to brew in my Cuisinart "grind & brew" coffeepot with a timer. 10. My trusty Dell Inspiron 9100 laptop -- almost 5 years old but going strong. Fast enough for "streaming data from e-signal" and Blogging all at the same time. 13. All the experiences in my life thus far (good, bad, & interesting) shaping who I am, and all the experiences yet to come leading me to who I will be ... someday. "Over the River and Through the Woods to Grandmother's House we Go ... "
Hmm ... no horse ... no sleigh ... and no "Grandmother's house" any more in MY family (except for my brother's widow who lives in Hemet, but she's my age ... and we can't be old enough for this role, can we?) ... I plan to avoid mirrors today :-). Until my siblings and I each got married (and for a few years afterwards), we observed Thanksgiving Day at home or with extended family. When we celebrated holidays with Dutch relatives on my Mom's side, it was always in someone's home ... with dinner served on the best dishes around a huge table, in a "formal" atmosphere, and staying out of trouble presented ongoing challenges, for I was the baby of the family, always trying to measure up to the "bigger kids" standards. When I was born, my sister was 4 and my brother 9. Until my arrival, they had the dubious honor of being the youngest kids in the extended family because my mom was youngest of five and my dad second youngest of thirteen. Many of our cousins on my Dad's side of the family were married and had children our age & older by the time we arrived on the scene, so those were huge family gatherings ... often "potlucks" in a centrally located park ... where the men could play pinochle, the women visit while doing hand-crafts of some kind, and the kids entertain themselves playing together. Turkey smells permeated the air and everyone helped with preparations. My mom's pies were the best! She made the thinnest, flakiest, melt-in-your-mouth crusts ever ... and I miss her presence here on earth. My Dad and brother have also passed on ... though memories fill my heart and soul. This year, my neighbor and friend who IS "Grandma" has invited me to share Thanksgiving at their house ... surrounded by kids, grandkids, and dogs of all sizes. Should be fun and I'm looking forward to the festivities. I wish you and yours a wonderful day of gratitude and fellowship. This morning, I found a post entitled "Mindfulness and Transforming Anger" at The Dream Life. It started me thinking about what matters and what doesn't. While listening to Ram Dass and Thich Nhat Hanh (two of my favorite people) discuss this topic -- I found the video clip both timely and perfect. I decided immediately to mention the post here, and to add a sidebar link at Sacred Ruminations so I (and others) can return easily to be reminded as needed in the future. While I was at You Tube I discovered the following related links. I believe each to be well worth the time required to watch and listen whenever time permits. Thich Nhat Hanh speaks on Living in the Present Moment, Mindful Walking, and Peace in Every Step. The first two are a few minutes long. The last video link is more than an hour in length, but resonates so truly with my personal experience and beliefs that I opted to include it for anyone who cares to listen. My "ex" was drafted in his mid-twenties and spent 13 months in Vietnam ... returning alive, but forever changed. In turn, my own life was altered. He was a social worker and I an educator. We did what we could with what we had to effect change in positive ways, yet we each spent many years frustrated and angry at the recognition that the main thing to be learned from history is that we don't learn from history. In the early 70s, I recall attending a meeting of a group called "Beyond War" based on an Einstein quote to the effect that war is obsolete. A story was shared there (leaving me with a vivid & long-lasting image) in which people were sitting together in a room filled with barrels of gasoline. Each person held a book of matches, but no one was foolish enough to strike one because doing so would destroy themselves along with everyone else. The older I get (and, of course, I'm a dinosaur) the more I realize that carrying anger & frustration doesn't help solve much of anything. "If we could just accept that we're not "alone" but rather "all one" we'd each do what's necessary to resolve the world's problems recognizing "we're all in this together" ... especially since we've seen earth from space and know how "precarious" life can be ... and we've learned that butterflies in Zimbabwe affect weather on California's coast. I have this image in my mind of a giant jigsaw puzzle and each of us is a piece. When we get lost (or fail to show up and get connected) gaps exist that no one else can fill." One thing I know for sure from personal experience ... change begins with each of us as we gain awareness of what's within ... learn to own, honor, and live as congruently with our convictions as possible ... find ways to understand ourselves and others ... practice compassion & kindness while we pay attention to the results of our thoughts, words, and deeds as reflected in our relationships with others. There are many paths, tools & habits to assist and/or guide our journey. A COURSE IN MIRACLES states "when the student is ready, the teacher appears" (and vice versa). It also assures us that all it takes is "a little willingness" to be open to the possibility for change. Don Miguel Ruiz offers a simple (if not easy) path through THE FOUR AGREEMENTS. Hundreds of others point to ways to begin ... and practice ... each moment ... to awaken to and embrace truth as we understand it in each moment. I'm reminded of Thailand Gal's Blog Blast for Peace ... and perhaps this is my version? I offer it here for your consideration and comments. I've decided to accept Annie's challenge and allow myself to be tagged for "7 Random Things" ... playing this kind of game for the first time. I've noticed other such "games" as I've meandered through the Blogosphere and think this could be fun (though I'm not sure who I'll "tag" yet & hope I'll do it right. Anyway ... here are the rules. Link to the blog of the person who tagged you. Let each person know that they have been tagged by posting a comment on their blog. 1. Everywhere you look in my house you'll see giraffes of all shapes, sizes, and media. People have gifted me with them most of my life. I suspect the underlying message has something to do with the fact that I'm tall and often stick my neck out ... speaking up for my beliefs. This summer at the Writers Retreat someone suggested it might be because giraffes have the largest heart of any mammal and I'm mulling that over even now. 2. I'm a recovering "pack rat" ... hoping to simplify my life and my surroundings ... no matter how long it takes. 3. If it's a horizontal surface, it collects reading and/or writing materials like a magnet attracts iron. 4. I've got floor-to-ceiling bookshelves in every room of my home ... filled to capacity and there are still stacks of books around the house waiting for a home. Guess I'll be paying yet another visit to Ikea sometime soon. 5. If you pick up a book, you'll see I've written notes in the margins of most because I like to carry on a conversation with authors as I read. 6. I don't watch much TV ... seldom go to movies even though I receive frequent invitations from friends ... but lately have spent LOTS of time on the computer exploring this virtual world (much to Molly's dismay). I suspect this too shall pass, for I'm what Barbara Sher calls "a scanner" ... jumping into things that interest me and running with them ... until something new captures my attention. If you're reading this and you'd like to play ... consider yourself "tagged" as I did after reading Annie's post, but leave a comment and link here so we'll know where to find you. Hmmm ... and now I'm supposed to leave comments on their Blogs letting them know they've been tagged. I wonder if there's a way to add a link to this post in a comment? Guess I'll find out soon. 11-18-07 -- Lucy cleverly left her own link that shows up after "Comments" ... but only if you're reading the posts one by one. In case you're reading them all at once, her list is here. 11-19-07 -- Karen's list can be found here. 11-24-07 -- I notice Sunrise Sister has posted her list here. Guilty With An Explanation: S.O.S. Seemed to me like this post was one worth learning how to use the "Link to" function here at Blogger. Hopefully it works and I hope you'll take time to read and consider taking action on this issue. Alle alle auxen ... free! I do like the convenience of GR letting me know when a Blog I've discovered (and enjoy reading) has something new so I don't need to search aimlessly any longer. Google Reading allows me to use my "computer time" more productively, and in addition, this nifty free program allows me to read posts "black on white" ... which is easier with these aging eyes than trying to decipher white writing on a dark background ... and that (in itself) is a gift to myself. This is the way I'd like to run a business! Well ... here's installment three of my early Palm V-Multi-mate "experiments" to see how it worked. I'm hoping it'll be readable like the first one. Guess I'm about to find out when I publish this post. It looks a little "ghostly" so perhaps I missed an opportunity to publish it on Halloween? I wonder if I'll happen upon one that looks like a turkey? I've got a nifty collection of video clips of Molly, but have never been able to share them with others, because the files are too big for email. Today I'm checking out whether or not they'll upload and run here. It's taking a long time to "process" but I'm hopeful it will all come together if I'm patient. Guess I should have centered the image (and perhaps made it larger?) Live and learn. This process is taking longer than I care to repeat, so there will be no "do-overs" today to fix anything. After all, it's an experiment. Okay ... it's been about 30 minutes (maybe more) and I'm about to give up. I'm tired of waiting for something to happen. How long can it take? YEA!!!! It seems to work. Just when I was about to give up and chuckitall because I couldn't make anything work in "Preview" mode, I decided to press "Publish Post" on a whim ... and there it was ... working fine. I'd forgotten my neighbor was carrying on a conversation with someone as I filmed it. Such is life ... humming "I'm not perfect and I know I never will be..."
So ... the image size looks fine. Centered might be better, but I won't quibble. I'm just happy my efforts yielded results. Aren't they QTs? Molly's not quite 3, Sassy's 8, and Lucy (the Golden Doodle) is about 8 months in this clip. She's gonna be a moose! on my desktop come from? With heartfelt thanks to His Girl Friday at Wellied on Life for her latest two posts (discovered belatedly today but well worth sharing with others anyway) Ain True Love and All gave Some, Some gave All ... I offer them here to all who pass this way. Furthermore, I encourage you to click the links now, check them out for yourselves, and perhaps pass the info on to others in turn ... for I believe you will be enriched .... and, of course, I suspect all of us need such reminders in the midst of our overly busy lives. The only problem with Google Reader or What a Rich Resource! I love Google Reader (except for the frustrating fact that I now have more that 450 new posts to peruse because I keep finding new & interesting sites to add as I meander through the Web). It's about as bad as my regular MSN email box that often ends up collecting 500 or more emails because I tend to ignore it for long periods of time. There is an option in GR to "mark all posts as read" but that seems to defeat the point, so I choose not to do that ... yet. Fortunately, GR allows me to organize Blogs into categories so I can easily check out new posts from my Writers Retreat Friends, Virtual Buddies, and a variety of other "categories" I've created to "sort" these blogs into manageable "chunks". The category called "Blogs to Check out Someday" has 460 or so in it currently, but I'm not letting myself feel pressured by that. I try to check out about 10 each day .. but I know there will be rainy days down the line when I'll sit down by the fireplace with a cup of hot chocolate ( & perhaps a few cookies) to scan them quickly ... adding some to categories that "fit" and deleting others I won't feel called to keep. I realize most of you don't have as much "leisure time" as I do ... so this post is my humble attempt to help expand your virtual horizons while saving time and simplifying the discovery process ... though I'm sure as you venture out you'll find things I've not yet discovered, and I hope you'll share in return. Remember I'm a "newbie" to all this ... starting less than a month ago. In addition to Google Reader, the "rich resource" I wish to write about here is Patti at 37 Days. I'm sure many of you have already discovered her, but she has my head spinning and reminds me of my friends Holly (from the Writer's Retreat) and Elatia (from my EBB training) who are "strategic thinkers" ... from whom ideas simply flow abundantly. What an amazing gift to share so freely. I've already mentioned the 37 Day Complaint-Free challenge (and a few other ideas) in a post at Sacred Ruminations, but find myself captivated by so many of Patti's ideas. Her post Listen Fully visually & verbally illustrates the point beautifully that I'm sharing here. In it, after sharing the link to Prospero's Book, she quotes that post within her own as I've done here (to spread the word and get folks thinking and talking ... perhaps even making different choices today and tomorrow). communicating with the whole tribe or whole earth in mind so as to honor others." "I love this. Let's adopt it. Let's make Successories posters of it (or not). More than that, let's just do it." Like Patti, I'm delighted at the "web-like" ways of this World-Wide Web! The teacher-in-me wants EVERYONE to know, think and talk with others about such rich ideas and possibilities. And so ... this morning, I "touch magic ... and pass it on" hoping others will do likewise. Don't we all deserve such respect? Don't we want our children to learn these practices? To borrow a phrase from Chani's recent Blog Blast for Peace ... "If not now, when?" Multiple challenges encountered & solved through trial and error by me on Small Reflections and Sacred Ruminations (because I'm a determined sort who doesn't give up easily) along with occasional feedback from fellow bloggers who graciously share their knowledge of how things work, led me to discover today a nifty feature available in setting up Blogger sites (albeit belatedly). When creating this blog, I left things pretty much "as is" initially ... grateful that the set up procedures seemed "user friendly" and intuitively straight-forward. I've made modifications along the way when I noticed something on someone else's Blog and tried to figure out how it might work on mine. Some of you may have noticed color and font experimentations among other things over these first three weeks checking in ... or not. Anyway ... I've learned there's a box I can check (in Settings I believe) that causes all comments left on MY Blogs to come to the email address associated with these sites. How handy is that? Now MY comments to "other's comments" won't be so haphazard. Until now, I responded to comments others left here only when I noticed the number of comments increase under posts as I was "scanning" the "look" of things after making changes to the sidebar (not a very precise way to approach things), but for a while now I've consciously tried to release my "perfectionistic" tendencies and simply let things be. In case anyone else wonders about this, at the bottom of the "Comments" section of the "Settings" page in "Layouts" at the very bottom (one must scroll down to see it) something that says: "Comment Notification Address" with a box to insert your email address. Now that I've entered my email address in this section on both blogs, however, I'll be notified when a new comment is posted and can respond more consistently (as I've noticed many of you doing all along and wondered how you managed.) Who knew? Certainly not me. Late Friday afternoon workmen arrived next door to "tent" the neighbor's house for fumigation. I knew it was happening and planned accordingly for Saturday. Molly and I took a long walk early and played "fetch" in the front yard until she was exhausted (it's no small thing to wear out a not quite three year old Lab). I showered, dressed in purple & red, donned a red hat, gave Molly a "Greenie" & a new Nylabone ... and left her safely indoors with the windows shut ... to chew & snooze away until I returned to play with her again. Thus I left home (and the virtual world of bloggers) to join my favorite Red Hatters out in the world. I picked up A and we drove together ... joining the other gals at a Red Hat Holiday Boutique before moving on to have lunch at a Soup Plantation restaurant in the area. This year's boutique was tiny compared to last year's event and some of the women seemed disappointed, but I'm trying not to spend money anyway ... so I enjoyed visiting with everyone I hadn't seen for a while. The folks at the restaurant set up tables for the 12 of us and we had a wonderful time together. These gals know how to have fun. In case you don't know about Red Hatters, you can learn about the Red Hat Society at their official website. Women 50 or older wear purple with red hats while those under 50 wear lavender with pink hats. During our birthday month, we reverse the colors ... wearing either red with a purple hat or pink with a lavender hat ... so feel free to wish us "Happy Birthday" when you see our colors switched. I joined the community of Red Hats a few years ago when I found myself alone (after my sister retired and hit the road with her husband ... and my best friends left for a few months simultaneously). I knew I needed someone other than Molly to get me out of the house. So I logged on to the official website, entered my Zipcode, looked around, found an event close to home, donned a purple outfit & red hat, and went "tea tramping" ... in search of folks I liked. That's how I encountered Sisters at Heart, the gals I "played" with yesterday. I occasionally link up with two other Red Hat groups for a meal or activity as well. But I digress ... back to my vagabond sister and her husband. After retiring from the work force, B & R rented out their house (for gas money they explained), leaving Jeff (a friend of their oldest son) living in "Grandma's quarters" (you might recall mom died in 1989) in charge of collecting and depositing rent from others in the house. However, they returned after about 3 months when she fell and dislocated her kneecap. Fortunately Jeff agreed to find other lodgings allowing them to move back in into their house during her recovery & physical therapy. Living with strangers in the rest of their house presented interesting challenges for all concerned, but they were home for about 6 months before hitting the road again ... this time leaving a room available for future emergencies. This time they meandered through Northern California, Oregon, Washington and Canada ... visiting friends & seeing sights along the way as they headed for Alaska where they spent a month touring with other RVers ... having a wonderful time. Afterwards they drove through Canada into Montana ... and on to Colorado where they visited with more friends ... experiencing snow for the first time as RVers ... eventually heading south through New Mexico and into Arizona ... intending meander through the South on their way to Florida. However, once again (this time after being on the road for almost 6 months) health issues brought them home unexpectedly around Thanksgiving of last year. It was my brother-in-law's knee replacement that "came apart" and needed to be redone ... requiring about six months of recovery & physical therapy. As I've written elsewhere, they're currently on the East Coast and plan to winter in Florida. These may all be "old hat" to YOU, but I feel like a kid in a candy store and find myself wishing I'd found all this sooner. Who knew? Certain not me ... but I'm learning about Widgets & iGoogle where I've created a personalized home page containing handy resources like Weather Forecasts ... Dictionary, Thesaurus, Spell-check & Wickipedia links ... Photo Links of all types ... Quotes ... even Games (like Bejeweled) and so much more, all right here on my computer screen at my fingertips ... instead of the blank page I've looked at all these years. Let's hear it for OPTIONS! How fun to observe the "beach scene" I selected for a "theme" at the top of the page change as the day progresses. It was dark with I started in the wee hours of the morning, then the sun rose, and colors gradually shifted through the variations of a regular sunny day, followed by a gorgeous sunset and finally became evening again. It's all pretty cool! In case you're wondering where "the dinosaur" has been, I've been living life out in the world with the TV & my computer turned off most of the time ... mindfully paying attention to each moment ... discovering peace is a choice at every turn, no matter what happens ... grateful for my "happily retired" lifestyle and the expansive time I now experience regularly (instead of rushing hither and yon trying to do too much ... focused on everyone else's needs rather than my own as I did for all those years in the work force) ... continuing to practice The Four Agreements as presented by Don Miguel Ruiz ... eating healthily ... looking for the upside in all things ... walking Molly at the beach ... getting together with friends ... gardening ... reading ... writing in my journals for myself ... trying to figure out what to do next ... and being here seems perfect for now. When she mentioned her daughter-in-law was interested in learning about Blogs, I encouraged her to tell Y to stop by ... and I invited B inside to show her what IS available "free" right here on the Web. She expressed amazement ... wondering aloud (as I often do) who pays for all this free "stuph". The teacher in me is happy to share in this way ... spread the word ... bring others to this richly diverse community of individuals willing to share so freely ... who will, in turn, talk with others out in the world at large ... about issues that matter ... enriching us all. --the Random Acts of Kindness website with inspirational stories and action ideas for communities and classrooms? --the Giraffe Heroes blog encouraging people to overcome apathy and fear ... to stick their necks out and do something about the problems of our times? It's been a beautiful day in the neighborhood! I hope YOURS was enjoyable too. When you have a few minutes, I highly recommend Thailand Gal's Blog Blast for Peace -- If not now, when? manifesto. It's certainly generated lots of comments on her site, and I've had several discussions with neighbors & friends about the issue it raises today. I suspect those conversations will continue. "I think you are one busy little girl! Remember to eat right and get some exercise or we will find you sprawled out on top of your computer -- that is my motherly advice for today." Rest assured M, I'm eating right, getting enought sleep, and Molly keeps me well exercised. You needn't worry. Right now everything is new and fun. As long as that's the case, I'll be fine. --Now I see she's doing NoMoWriMo also. You can check out her progress on more video at Happy Luau. I love to write too, but 20,000+ words on a novel in 4 days boggles MY mind! You go girl! --Methinks I'll save MY first novel attempt for NEXT November. I have, however, left posts on each of my sites every day. I think that has a name too, but it escapes me right now. --Explore some of the "writer's links" like Sunday Scribblings and Writers Island to get acquainted with how they work, who's out there, what they're writing, and consider joining in the fun. Now you know why the previous post has the title it does, but that's enough for so ... so I'll stop. Do you recall that song? I used to LOVE "Eloise" as a child. She did all the things I didn't dare try. I was such a good compliant child (otherwise known as a "wimp" or chicken) back in the day. Who knew I had such a wild child within? And that reminds me of one of the songs I used to teach my students ... way back when. Always a big hit with the kids (who never failed to laugh hysterically whenever we sang it), parents used to share that it was one the entire family used to sing together ... often ... especially whenever someone blew it big time. Actually, that happened frequently in the middle of class as well ... always defusing embarrassingly tense situations. I don't recall who wrote it ... or where I picked it up. Like the Eloise ditty ... it's a part of my memory from wherever. If I knew how to record it on YouTube and upload it there (as Olivia at Happy Luau did with her Gratitude Dance) perhaps I'd sing it for you and provide a link ... but I don't. So, here are the words. They'll have to suffice. If anyone knows the source, let me know and I'll add credits later. No one's perfect ... I know it's true. All make mistakes, and I do too. In the yard I left the rake. By the stairs I left my skates. I knew I'd made a big mistake. I tried to pop it but it was too late! I knew I'd made a big mistake! Filled my squirt-gun very full. Then the trigger I did pull. Grannie baked an apple pie. I ate so much I thought I'd die. Uh -oh ... my memory just pooped out on me all of a sudden. --One thing I do recall is that we substituted the word "teachers" for the word "even" in the chorus to make it more inclusive ... so we sang "teachers, dads and mothers" instead. --Remind me again why the arts no longer are included in public school curriculum. Seems to me there are valuable lessons learned through art, music, dance, play, drama and other subjects I loved to do as a kid and teach in my classroom later on. How did we let this happen? --Maybe when I finish my month of daily Sacred Life posts at Sacred Ruminations, I'll switch to weekly Sacred Life Sunday posts and take up the One Thing - Be Brave challenge for the next month. Who knows ... I might even explore YouTube and sing this little ditty. As before, I have no idea what it says ... but this time I'll know enough to click on it once I publish this post and see (thanks to Deborah at Spiritual Anecdotes). Addendum: Well ... I hope YOUR eyes are better than mine, for even when clicked on, these old eyes can't decipher what it says this morning. I wonder if I have the "original" around here somewhere? As I recall, the MultiMate left a paper trail in addition to an electronic one. (either 5x7 or perhaps 4x6. This piece IS visually reminiscent & representative of the larger 8x12 pieces in my collection created by hand with pen & ink. Those might be more easily read once scanned ... but I have no time to spend with Picasa or Flickr today ... so they'll will have to wait for now. Consider this an appetizer (or teaser?) ... your choice. I've spent many hours (over the past couple of days) trying to clean up and reorganize my Mozilla Bookmarks into a useful format ... a task that might not have been necessary if I'd understood how they work in the first place. Sigh! Such is the story of my life. I jump into new experiences whole-heartedly with a little bit of knowledge and a lot of enthusiasm coupled with self-confidence to figure things out ... often creating messes to be cleaned up later. I'm trying to become more mindful ... to simplify my life & let go of stuph ... but here I am accumulating Virtual Connections in my usual disorganized way ... then figuring out how to make sense of it all ... after the fact. About two weeks ago when Kara encouraged me to explore the Blogosphere (with the intention of beginning a Blog of my own & let myself be known ... finally), I started with links (she emailed me) to sites she liked. 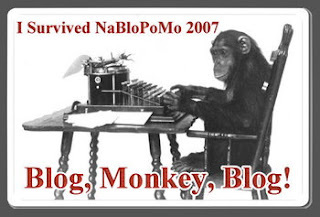 When I discovered Blogs I wanted to revisit, I clicked Bookmark this Page. I explored links on those sites ... creating more Bookmarks along the way with the intention of revisiting them at my leisure. In no time at all, the list grew to an unmanageable size ... and I could find nothing. So, when I created Small Reflections, I started a Link List of my own in the right column ... sorted alphabetically. Soon that grew to an unmanageable number so I separated them into categories ... and that helped initially, but I realized I was in trouble and needed to figure out how to manage my Bookmarks some other way when that list grew to a ridiculous size. I culled the Link Lists at Small Reflections to a few I check regularly and kept the links to my Writers Retreat friends in a separate box, but didn't choose to lose track of other sites I'd found interesting ... so my Bookmarked list remained a chaotic mess (much like my desk often is for I'm an "out of sight, out of mind person" ... when something gets filed, it's forgotten entirely). Eventually I noticed Bookmarks could be Organized in a separate window ...(Duh!)... by creating categories in folders that could be alphabetically arranged. How could I have missed this? So ... that's what I set out to do several days ago. I created a folder called Blogs to Check Out and another called Favorites. Later I added folders to sort more specifially (Journals, Spiritual Sites, Blogging Resources, Interesting Visuals, etc.) and began to "sort" by category. I made significant progress, but what I didn't realize until this morning is that I can create a new folder at the same time I Bookmark a site rather than after the fact by Organizing them later. Again ... it's hard to fathom how I missed this feature on Mozilla ... but I did. Perhaps in my eager explorations, my focus landed on content rather than organization. Maybe I needed to create a mess and clean it up? It's possible, in my rush to make up for lost time, I just didn't stop to think at all? And, of course, I've been sick the past few days and my mind doesn't work right when my health is less than good. Enough excuses! Whatever the cause ... I'm relieved to have figured out how things work ... finally. Now when I find a new site of interest, I know enough to file it where I can find it again easily ... creating new folders as needed on the spot. I'm still cleaning up the mess I made initially in Mozilla, but there's an end in sight and I've learned a valuable lesson ... again! I'm slowing down ... mindfully attending to each moment ... trusting the process. Surprised by the interest generated by my "Visual Scribblings" post, I've decided to make learning more about Picasa a priority (and/or get Flickr to work on my laptop and learn about it). Unfortunately, the lingering smoke in the air here in Southern California has taken it's toll on my throat & sinuses. Although I've been drinking lots of water, taking extra Vitamin C, and generally being good to myself (eating healthily, getting more rest, etc.) ... I suspect I'm coming down with a cold because I'm running a fever and my throat is raw. My mind doesn't work well when I'm sick, so this new learning may take longer than I'd like. I've learned the hard way NOT to push myself in such circumstances. I don't recall why I turned on the television this morning at 8:04, but it came up on Channel 6 (which is PBS in my area of Southern California), and I found myself listening to Wayne Dyer speak on the topic of INSPIRATION as I checked email. When the phone rang around 9am, I hit "record" on the DVR so I wouldn't miss any of it because I felt captivated. 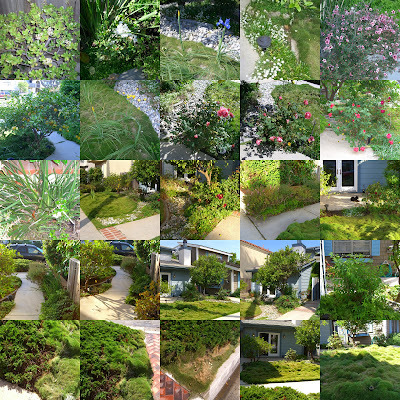 Afterwards, Molly and I took a walk together and I watered the front yard, but with the technology available today ... I can pick up this program where I left off even though it's still recording as I type. I've written more about this program on Sacred Ruminations, but sharing the following information here seemed right today, given yesterday's post. He introduced an amazing Rwandan woman who survived the genocide there by spending 91 days in a tiny bathroom silently hiding with seven other women ... fearing discovery and death. Immaculee Ilibagiza shares her inspirational story (written with Steve Erwin) in an amazing book entitled Left to Tell: Discovering God Amidst the Rwandan Holocaust. I'm looking forward to reading it soon and perhaps you will too. By chance, I happened today upon a Website that focuses attention on Happy News. What a pleasant bit of serendipity! I mention it here in case you've not discovered it yet and might find it of interest. Because I believe what we focus on expands in our lives, long ago I gave up my regular subscriptions to newspapers & magazines and stopped watching TV news because I no longer chose to be bombarded with negative information. Initially, I worried I'd encounter problems by not knowing of world events ... but essential information came to me through friends, family, & unexpected sources ... quickly putting that concern to rest. I believe my life is better for this decision, yet I'm delighted to find this place where I can easily click on categories as I choose to find articles about International, National, Heroes, Health, Opinion & Editorials, Science & Technology, Environment, Arts & Entertainment, Sports, Business/Money & Happy Living ... read optimistic "contest" essays ... and even submit Happy News when or if I wish. The site even has links to "unhappy news sources" ... but I doubt I'll use them. I've Bookmarked it for easy access and think I'll add it to my Link List on so others might find it easily. Here is an example of the kind of writing I've done for years. This brief, simple piece is something I created experimentally using a gift from M. It was a device that linked electronically to my now defunct Palm V ... allowing me to write with my hand yet transfer the results to my computer. I don't recall what it says and don't know if it will be readable once I publish this post, but I offer it here today simply as a reminder to myself and sample of what's to come. Once I learn how to scan what M refers to as my "graphic poetry" and save it in a readable format, I intend to post some of them here. In Taos, both Suzanne & Jen encouraged me to do so. This is a first step. It's the day after Halloween and I admit, I'm relieved to know Ms. Kitty has survived yet another ghostly holiday. M has encouraged me for years to bring her inside at this time of year, telling grisly tales of what some misguided folk do with black cats ... but she will have none of that. She's an independent sort who values her freedom and definitely doesn't want to be indoors for any length of time ... especially with "the great white beastie" smells close by. The only way she ever enters the house is of her own volition ... and she'll remain calmly explorative only as long as the door remains open & accessible for a quick exit on her own terms. These days it's always from the front of the house ... into the living room where Molly is not allowed because it's carpeted. This morning I found Ms. Kitty where she usually hangs out currently ... sleeping on the white bench pad my new neighbors donated after she had filled it with black hair in THEIR yard. They've since replaced it with another and have sprayed the new one with something to discourage her from claiming IT ... and interestingly ... she seems to like the new location of her comfy pillow on MY front patio ... underneath one of the blue chairs just outside the French Doors. Apparently it's protected enough for her to relax the way she once did in the fenced yard two doors inland ... before she adopted me. Actually, Ms. Kitty has "a small igloo" of her own ... purchased especially for her by me after Molly moved in and claimed the larger one in the back yard that was home to Zonker for 16 years before he passed in 2001, a couple of weeks after I retired. It's furnished with the comfy cat bed that she once slept in at my feet in the family room ... (as long as the back door remained open). Once it was clear to me that the cat didn't want anything to do with the puppy ...(nor ME for a while)... I created a safe haven for her on the deck above the garage ... near the spa. She's long slept on the warm cover when the nights get chilly ... and since there's a gate at the top of the stairs to keep the dogs away, it seemed perfect. For a while I kept food & water there for her as well. However, Ms. Kitty had other ideas ... and it didn't take long for her to claim the front yard as her own ... along with the front yard of my neighbor toward the ocean. That worked fine until they sold the house and moved back to Riverside to be near their family. The new owners made significant changes inside & out before moving in last year, and they have a cat of their own ... hence the changes described above. I've tried putting the igloo on the front patio, but Ms. Kitty didn't use it there ... so I've moved it back on the deck where she DOES retreat occasionally ... usually when it rains. As my friend M is fond of saying ... it's good to have options ... and she does. Now ... for all my cat loving friends, I offer this collage of kitty photos ... giving equal time for THIS fur-friend. For those of you unfamiliar with Blog-reading ... clicking on the collage gives you a larger view. Enjoy!